Following the promotion of Alex Bregman and David Dahl, Andrew Benintendicould be the next star prospect called up to the big leagues. The Boston Red Sox organization could use an everyday outfielder in left field, and Benintendi could be the answer. Benintendi was drafted seventh overall by the Red Sox in the 2015 MLB Draft. Since stepping on the field as a Red Sox prospect, Benintendi has done nothing but impress. 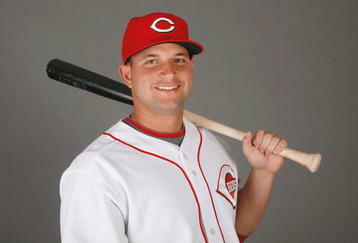 He has proven his bat is above average, possesses above average speed, and he has very good defense in centerfield. Over the past two years, he has started every game in centerfield, but the Red Sox have switched him to left field over the last two games. Many people believe this position change is prepping one of their top prospects for a move to the big leagues. 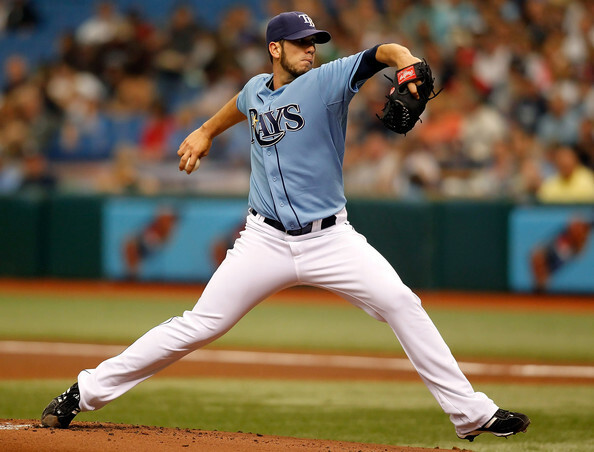 J.B. has an electrifying fastball and slider combination, which both have potential to be plus-plus pitches. 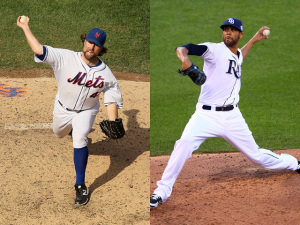 He is also developing a change-up that many scouts believe could solidify him as a top of the rotation starter one day. It’s hard to say which pitch is his best between his fastball and slider. He sits between 93-96 MPH with his fastball, but his slider could be the best breaking ball in the 2017 draft class. His elite combination of pitches, command, and maturity on and off the mound should make him one of the top prospects in the 2017 MLB Draft. He is one of the top arms in the Cape Cod League this summer. He is also playing with Team USA this summer in Japan, Taiwan, and Cuba. I checked my phone yesterday, as I got a notification, and my heart skipped a beat. The notification read, “Mets RHP Noah Syndergaard left today’s game after 6 innings because of elbow discomfort, will see team doctor.” First of all, I’m a huge fan of Thor. Second of all, I own him in two of my fantasy leagues. Third of all, I hate to see another young pitcher plagued by the dreaded Tommy John Surgery. Well have no fear folks, all Thor fans have dodged a bullet. That title is a bold statement, but I’m standing by my words. Clayton Kershaw is playing at a level that isn’t even comparable to other pitchers in 2016. It is very difficult to compare the statistics of a batter to a pitcher for the MVP race, but in my opinion, it is very obvious that Kershaw deserves this award if he continues at this pace. Bernie Olshansky: The final awards have been announced. Both races could have gone either way, with deserving candidates in each league. 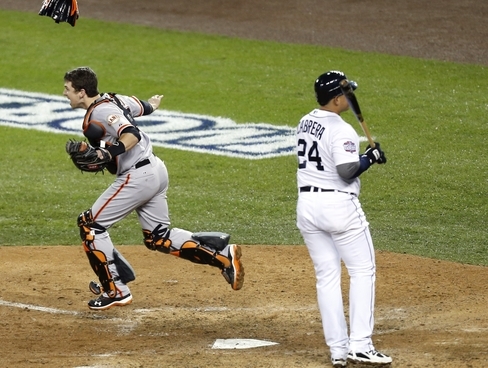 In the end, each winner won by a large margin (Cabrera 362-281 and Posey 422-285). There really were not any surprises in this year of MVP voting. Here’s my analysis for each league. 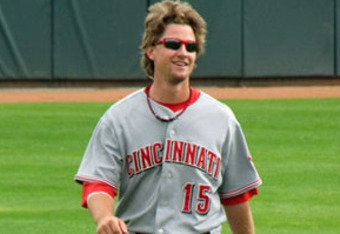 MLB reports: Welcome to the Reports Drew. Thank you for taking time out of your schedule for this interview. First question we always like to ask: who was your favorite baseball player growing up, that you most idolized and patterned your game after? 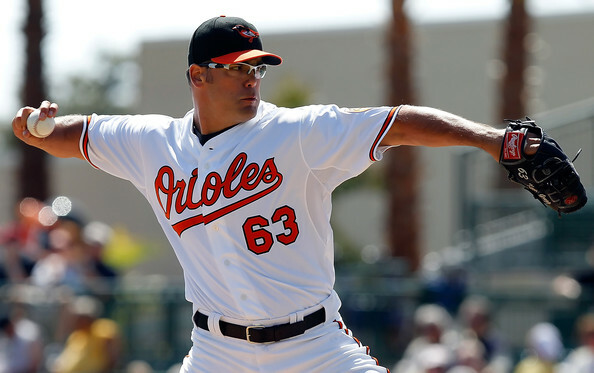 Drew Taylor: I always loved to watch David Wells pitch when I was younger. As a lefty I learned a lot about setting up hitters and how to use a curveball effectively against left- and right-handed batters. I also loved his approach. He went right after hitters no matter who they were and rarely fell behind in the count. A true lefty – he was a character on and off the mound. I had the chance to get to know him a little when he was playing in Toronto. 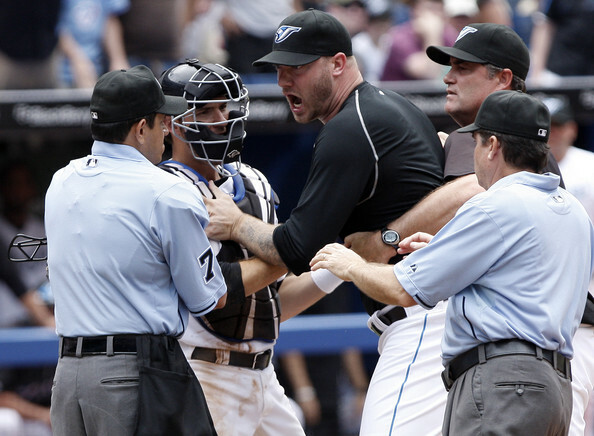 When I was in high school, I threw a bullpen in Spring Training for the Jays. I didn’t know I would be throwing that day so I only had my first baseman mitt with me. He gave me a glove to use and watched me throw giving me some pointers after the pen, very generous; he is the kind of guy that would give you the shirt off his back. I also learned a great deal from watching him that day in the way he treated people and engaged with fans asking for his autograph. Down to earth. Drew Taylor: I would have to say Travis Snider. I played with Travis our first year in the Blue Jays minor leagues and actually lived with him for the first part of the season. He came into the Jays straight out of high school and was thrust into a system that was known for drafting mostly college athletes. Here he was living with Jeff Gilmore, who graduated early from Stanford and had already begun a Masters in History and myself, already with Undergraduate and Masters degrees from the University of Michigan. But in truth, Travis was probably the most mature of the group of us. As I got to know Snider I found out why. He had faced a great deal for a kid of his age. 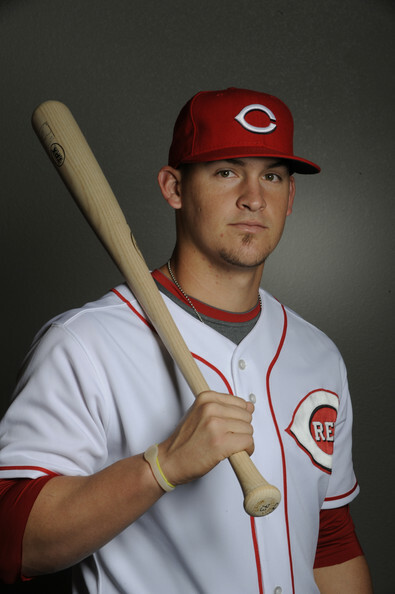 There have been a number of articles written him since he broke into a big leagues focusing on what he and his family went through while he was in high school. If you haven’t read them, I suggest you look them up. I won’t go into all the details here, but in short when his mother was dealing with serious health issues, he was placed in a difficult situation at a very young age. As the only son, he stepped up to be a rock for his family. There are a lot of talented athletes that get drafted and Snider is definitely one of them. Sometimes though it is experiences like these that separate the men from the boys and dictate who will have the resolve and discipline to make the jump to the big leagues. Drew Taylor: I transferred for my sophomore year to the University of Michigan from Georgia Tech in 2003. I came into a program that had a great history but had struggled in the past few seasons, finishing only 21-32 the previous year. Rich Maloney had moved from Ball State to the Michigan to take the helm as head coach. He called each player in one by one before the season, sat us down and laid out what he expected of us. It was the first time a coach had talked to me that way. He demanded excellence and explained how each one of us as individuals could contribute to the team’s success. I owe a great deal to Rich and would not have had the success I had that year without his ability to inspire his athletes and instill confidence in them. He turned that program around and we ended up 30-27 that year, climbing to 43-21 and winning the Big Ten by the time I graduated. “Those who stay will be champions.” I personally ended up 9-1 in 2003, making the All-Big Ten and All-Region Teams and was given the Geoff Zahn award for Michigan’s top pitcher. After pitching only 9.1 innings the previous year, this was a big turnaround for me. Rich knows how to get the most out of his players and I hope he remains a college coach so I can send my kids his way one day. 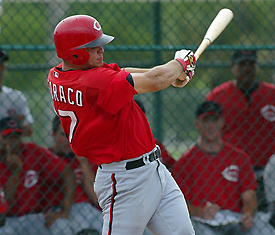 MLB reports: You were signed in 2006 by the Toronto Blue Jays after the draft. Were you scouted by certain teams before the draft and were you expecting to be drafted? Drew Taylor: The most amount of attention I received was probably in 2001. My velocity shot up during my final year of high school and while pitching for the Ontario Blue Jays the summer before starting university. I had a number of clubs call and make offers, including the Rockies, Blue Jays, and Braves, to see if I would forgo school to sign professionally. But I was dead set on getting my education. While at Michigan, I had a great sophomore year going 9-1 and followed it up with a good showing in the Cape League which drew some attention again. Then during my draft eligible Junior year I ended up injuring my shoulder in my first start of the year. I tried to come back and pitch a couple of times, but ended up having to shut it down for the season. That effectively ended any chance I had of getting picked up in the draft, so I focused on my rehab, knowing that I would be back at Michigan the next year and would have to prove I could compete all over again. In 2006, the Blue Jays called right after my final game and signed me to a free-agent contract. I reported to camp two days later. MLB reports: Being signed by your hometown Jays must have been very special. What were your feelings after the draft and what was the process like up until the time you were signed? Drew Taylor: Being signed by your hometown team is always special, but there were so many things on the go I didn’t get much of a chance to sit down and enjoy the feeling. When I got the call I was in Michigan right after we got back from the NCAA Regionals in Atlanta. It was a little bit of a whirlwind because I had just got back to my apartment when I was told I was leaving again in two days. In those two days, I quickly packed up my apartment and hit the road for Toronto. Kevin Briand and Sean McCann were the scouts that signed me and I went down to the then named SkyDome to meet them and sign my contract. With the papers in, Kevin walked me down onto the field and it finally sunk in. 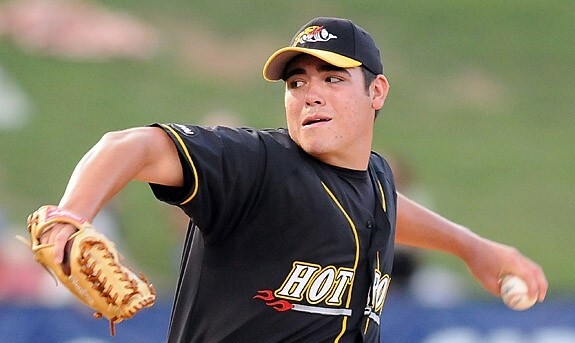 MLB reports; As a 6′ 5″ left-handed pitcher and being the son of an ex-major league hurler, what were the expectations you set for yourself once you joined the Jays system? 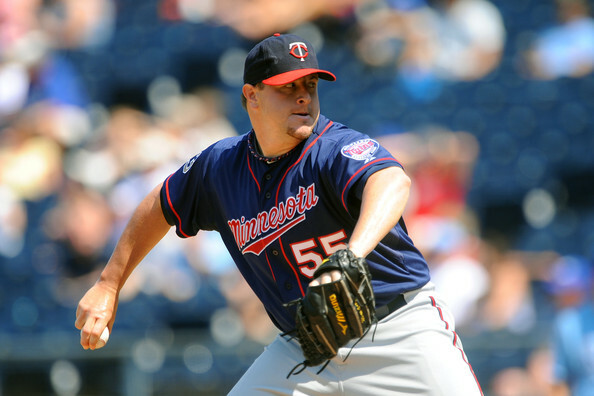 Did you envision yourself in the major leagues one day and what was your plan to get there? MLB reports: For all the fans that have never experienced minor league baseball before, give us an idea as to what life is like in the minor leagues as compared to what people see in major league stadiums. The level of competition, amenities and support from the major league team for its minor league system- what is it like? Drew Taylor: Night and day. Have you ever watched Bull Durham? Its bang on. The minors consist of a lot of long bus trips, fast food, and tiny locker rooms. The other big difference that people do not realize is how little money players are paid in the minors. Bonus Babies get a big cheque at the beginning, but the weekly salary is barely enough to live on. 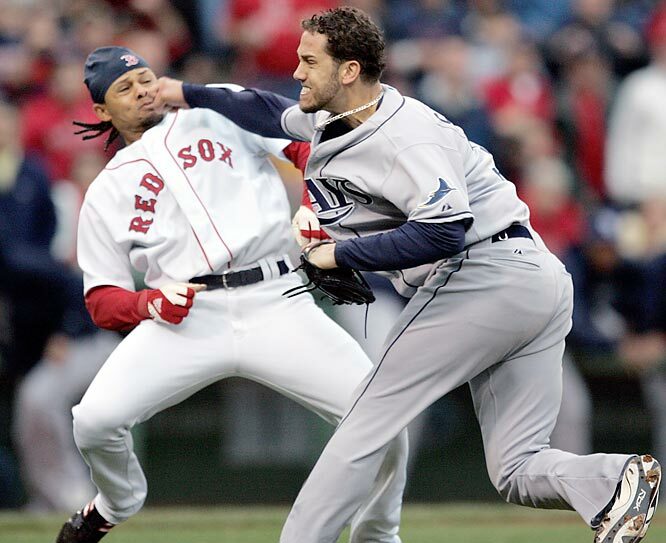 I would love to see the Major League Baseball Players Union fight for better pay in the minors, but once you make it to the majors I assume those guys try not to even think about the minors again. I don’t see it happening. Another problem is that players in the US and Canada are entered into the draft, while international players are all free agent signs. This means that home-grown talent can only negotiate with the team that drafted them, while international players have the ability to shop around different teams and drive up their signing bonuses. We need to move to a world-wide draft. One thing I will say is that players who make it to the big leagues know what it is like in the minors because they came up through it. Many guys are very good to the guys at lower levels. Especially if they are back down in the minors for rehab starts. 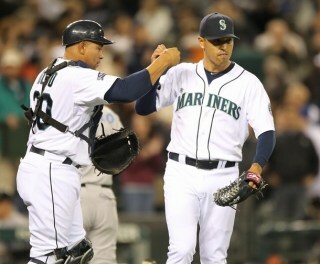 One guy that sticks out in my mind that always looked after the guys at the lower levels was Brandon League. He was down for rehab for a while in Dunedin one year and went out of his way for us. MLB reports: Injuries unfortunately played a huge part in your career, as it affects many young hurlers. Please tell us what happened to you health wise and your path through injuries, surgeries and how health affected your career. Drew Taylor: I only threw twice in my junior year at Michigan before it was painfully evident that something was not right. I ended up having a small tear in my rotator cuff and a strained bicep. I rehabbed and came back strong enough to get picked up by the Jays. My velocity had never returned fully after my arm injury in University, so I had to find other ways of getting hitters out than just blowing it by them. 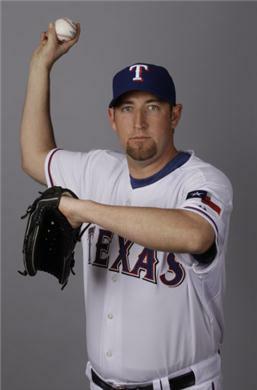 Additionally, I moved primarily to the bullpen after being a starter my whole life. My mental approach to baseball improved greatly, learning how to set up hitters and get them out not just by beating them with a pitch, but beating them with a pitch they didn’t expect. Instead of facing the same hitters many times in one game as a starter, I was now coming in relief and mostly only had to face batters once. I had to develop the ability to strike out a batter when I came on with runners on base and I focused on improving out pitches. My first year was in Pulaski Virginia in the Appalachian league facing a lot of young free-swingers. I used this to my advantage and ended up striking out 37 in 27 innings. As you move up through the system, hitters have a much better approach and wait for you to throw a pitch they are looking for or for you to make a mistake. You have to improve with them, or you will get left behind. 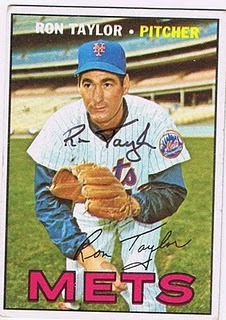 MLB reports: For those fans that aren’t aware, your father is Dr. Ron Taylor. A team doctor for the Jays, your dad was a star pitcher in the big leagues and played on World Championship teams. What influence did your dad have on your career? What was your relationship like growing up? Drew Taylor: My dad was a huge influence on me. He never pushed me into baseball, or medicine for that matter, they were both my choices. Once I made the decisions to pursue being a professional pitcher and then a doctor, his support and guidance was bar none. He had a great career in the majors for 11 seasons, winning two World Series with the Cardinals in 1964 and the Amazin’ Mets in 1969. I had a big leaguer at my disposal and he taught me things about playing at a level that very few have made it to. Even when we would sit down and watch a game on TV, we would be talking about setting up hitters and he would always ask me what pitch I would throw next. The biggest thing he taught me is how to deal with pressure and maintain focus and confidence – something I can take with me in all aspects of life. In 6 appearances in Major League post season games he threw over 10 innings without giving up a run. In 1964 he threw 4 innings in the World Series without giving up a hit, allowing only one base runner on a walk to none other than Mickey Mantle. There definitely were some expectations, and it was very tough to deal with when I had my arm injury and my future in baseball was in question. When I was released by the Phillies in 2008, I came home and he said something that will always stick with me. He told me if he “could only choose one career between baseball and medicine, it would have been medicine.” He has been able to help countless more people as a physician than as a pitcher. If I had kept playing baseball, my window to return to school might have closed. My brother Matthew, has also been a great guy to have around. What he lacked in talent he made up for in knowledge. I still talk shop with him when we watch games and he often comes out to watch me throw, giving me some pointers after the game, whether I want to hear them or not. He works in film, but I always thought he would be great in the front office or as a GM. He knows baseball, better than me. 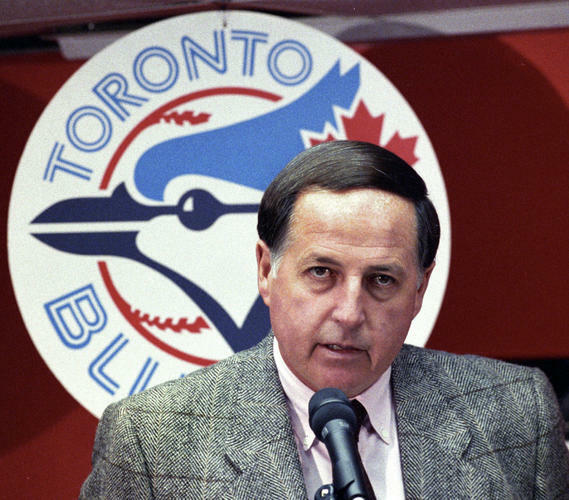 MLB reports: To go along with the Jays connection, you mentioned to me that you know Pat Gillick well. Please tell us your relationship with Pat and the Phillies organization. MLB reports: You currently play for the Toronto Maple Leafs of the Intercounty Baseball League in Ontario, Canada. 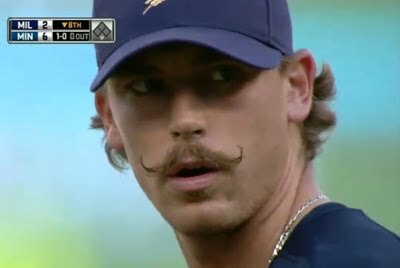 Many famous players came through the IBL, most notably John Axford of the Brewers. For fans that are not familiar with the league, please tell us more about playing baseball in the IBL and the Leafs’ organization. Drew Taylor: The Intercounty Baseball League started in 1919 and was founded as a minor baseball league feeding the majors. Now it remains as an independent league. It has a great deal of variety in players and level of experience. Many of the players have had professional experience in affiliated ball and are at the end stages of their career. The rest of the players are comprised of current or former university and college athletes trying to get signed to professional contracts or who want to maintain playing baseball at a high level of competition. Ferguson Jenkins, Paul Spoljaric, Jesse Orosco, John Axford, Pete Orr, Rob Ducey, Rich Butler and Rob Butler are some of the major leaguers that have played in the league either before their major league career or afterwards. I have actually had the chance to pitch head-to-head against Spoljaric on a few occasions and it is always exciting to face off against a former big leaguer. The league has a shorter schedule and we don’t play every day, so it allows guys to maintain full-time jobs while playing, which is rather unique. I have been playing for the Toronto Maple Leafs for the past three years while being a full-time student at the University of Toronto and Mount Sinai Hospital. MLB reports: I have read that you have been involved with a number of charity groups surrounding baseball and sports, tell us about that? Drew Taylor: I have been getting involved in some charities that are doing great work in Toronto and across Canada. I recently participated in Strike Out Cancer in support of Mount Sinai Hospital with an all-star list of actors and hall of famers including Kurt Russell, Roberto Alomar, David Justice, Gary Carter, Gary Sheffield, Bret Saberhagen, Devon White, and others. This past year the event raised over 1.4 million for research and treatment of women’s cancers. We also participated alongside local athletes, actors, musicians, and personalities in the Bulletproof campaign which sells apparel in support of the Special Olympics. Another fun group of people, Jays Days, get together when the Jays are on the road to watch the game together at Opera Bobs. Proceeds from sales of ball-park hotdogs, popcorn, and refreshments go to Horizons for Youth, a 35 bed youth-shelter dedicated to helping homeless and at-risk youth in Toronto. MLB reports: Having attended Michigan and with your father a doctor, a little birdy told me that you were looking at a career in medicine yourself. True or False? Drew Taylor: True. I ended up passing on professional baseball out of high school to attend university as I wanted to become a doctor. After finishing my undergraduate and Masters degrees at the University of Michigan, I was signed by the Blue Jays. At the same time I signed I had sent in my application to medical school. I was accepted and had to make a tough decision. I decided that I would have the chance to go to medical school after playing, but only had one opportunity to play professional baseball. Thus I continued to play ball. I didn’t want to lose any momentum in medicine, so I applied to the University of Toronto and continued graduate school in the off-seasons. While with the Phillies and now playing for the Toronto Maple Leafs in the Intercounty League, I have been completing my PhD. I will finish this year and will be applying to medical school again. MLB reports: How many more years to you see yourself playing baseball? When your playing career is done, do you see yourself staying in the game and in what capacity? Drew Taylor: I will continue to play as long as I enjoy the game and my arm holds up. I broke my elbow this past year and it was a long season of rehab before I was back pitching again. 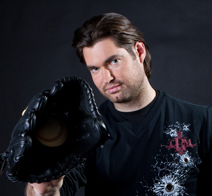 I finished the year strong so it rejuvenated my desire to keep pitching. Once it is over for good I would like to stay involved with baseball and sports in general. My PhD is in Biomedical Engineering and ultimately I want to pursue a career in Orthopedic Surgery, possibly even specialize in upper extremity to compliment my experience dealing my own injuries. My dad is the team Physician for the Toronto Blue Jays. I would love to follow in his footsteps and serve a professional team. Thank you again to Drew Taylor for taking the time to join us today on MLB reports. We highly encourage our readers to post at the bottom of the article any questions and/or comments that you may have for Drew. As well, please follow Drew on Twitter (@DrewWTaylor).